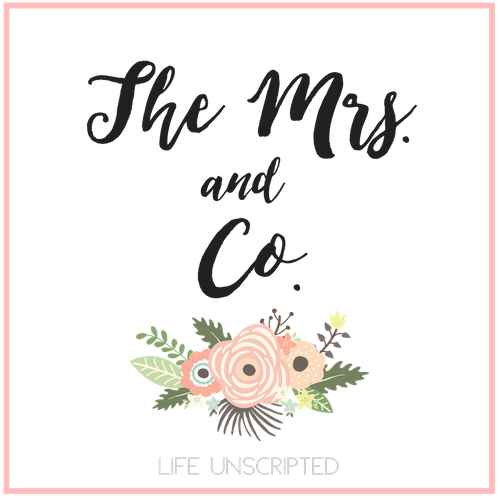 Crib Transition and Sleep Training Part 2 - The Mrs. & Co.
To see my post on how we transitioned Raegan to her crib from her rock n play, click HERE. Picking up where we left off yesterday, I had shared how we transitioned Raegan from her rock n play to her crib. To put Raegan to sleep every night we would rock her and let her have her paci until she fell asleep. Then we would gently and carefully, remove the paci, and place her in her rock n play. We continued this as well when we moved her to her crib. One night we were having a really hard time getting Raegan to go back to sleep once she had woken up about an hour after we put her down. This was a normal occurrence that would continue happening all night long. We would have to go in and put the paci back in her mouth until she fell asleep, then gently pull it out so that it wouldn't fall out and wake her up. We had always planned to use Dr. Ferber's method of modified crying it out and thought, this was as good of time as any to start since we had tried all our normal tricks of putting her to sleep and she just wasn't having it. It was time to let her learn to put herself to sleep. Our pediatrician had said to at least wait till she was older than 3 months and Dr. Ferber's book recommends between 4-5 months. Dr. Ferber's method was perfect for us. We wanted her to learn how to put herself to sleep and we were fine with letting her cry, but we still wanted to be able to check on her and reassure her that we were still there. So we kissed her on the forehead, said we loved her and walked out. 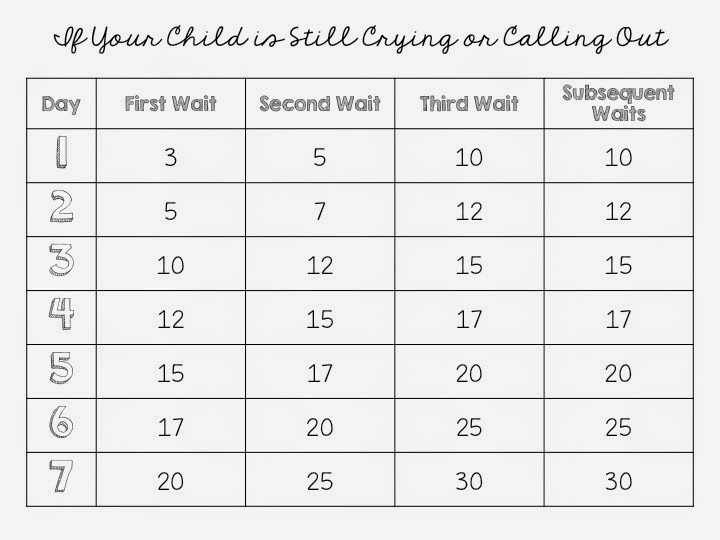 What I loved about Dr. Ferber's book, "Solving Your Child's Sleep Problems", is that it gives you a chart to help you navigate modified crying it out (CIO). The first night you go in at 3 minutes, 5 minutes, and then every 10 minutes until the baby falls asleep. You comfort the baby for about a minute then leave again. We chose not to give Raegan her paci during our check in time because she can't hold it in her mouth anyways and would just get upset all over again when we left and it fell out. The first night it took her a total of 17 minutes to fall asleep. We were shocked. We expected at least an hour. The next night came around and we did the same thing. Fed her, put her in the bed, kissed her on the forehead and walked out. Night 2 has you check on baby at 5 minutes, 7 minutes, and then every 12 minutes until baby falls asleep. Tonight it only took her 15 minutes to fall asleep. Now on this night she did wake up about an hour later, and we just started the timer again. Checked on her at 5 minutes and she was asleep before we went in to check on her after 7 minutes. We were shocked AGAIN! Raegan is a stubborn little girl and we thought she would put up more of a fight, but she responded amazingly to sleep training. By the end of the first week, she would take about 10 minutes of babbling to herself and then fell asleep. No more crying at all. And when she woke up through out the night, she was able to put herself back to sleep. Here is the chart if you are wanting to try the modified CIO sleep training schedule. And now, 6 weeks later, she's a sleeping champ! She goes down about 6:45-7pm and sleeps until 3:30am-4am, eats, then is back down until 8-8:30pm. Now naps are a different story! Girlfriend naps a TOTAL of a little over 1 hour a day. Yes, poor momma. We will get naps under control one day! I'm just not sure how. Now I know that every baby is different and responds differently to sleep training, so I was ecstatic when Raegan responded so well to it. If listening to your baby cry is hard for you, but you are desperate and need something to work, just try it for 1 week. Grab a glass of wine or something stronger, hunker down, get out your timer, and give it a go. If you still don't feel right about it after 1 week, that's ok! Do what you think is best for you and baby. Now when she wakes up in the middle of the night, my heart doesn't skip a beat, wondering if she will go back to sleep. Now she may talk to herself for a bit, and then she's right back to sleep. Another tip if you choose to do this sleep training route, if baby wakes up and it's not in their normal feeding window (Raegan's feeding window is 3:30am-4:30am) do not go into baby's room. Start the timer when they begin crying and stick to the schedule. On day 7 of Dr. Ferber's sleep training schedule, he has the first check in at 20 minutes and that's what we use every time she wakes up now. And more often than not, she is back asleep before the 20 minute timer goes off. Our next hurdle was transitioning her out of her swaddle. Things were great for about 1 week into our sleep training when she decided to roll over in her swaddle in the crib! Well, we decided to just go cold turkey, take her out of the swaddle, take all of the towels out of the crib, and lower it to the ground. We continued our sleep training like we had before. It took her a few days for her to figure out how to handle not being swaddled, but she took it like a champ, and now sleeps on her tummy with her bottom in the air. The cutest thing around if I do say so myself! 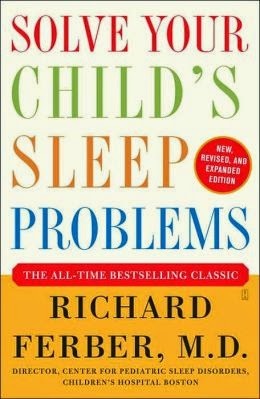 Have a question about Dr. Ferber's method or how we handled sleep training? Email me at ashley.sanderson1@gmail.com. I'd be happy to help you in any way I can! So how old was Raegan when you started this? She was about 4 months, but I wish we had started earlier and plan on it with our next baby. They recommending waiting till at least after 3 months. The baby isn't developmentally ready to learn to go to sleep on their own yet. Thanks. I think we are going to try it when Nora is four months old. I'm so glad I found this post! I have a little boy who is almost 5 months and were planning on using the Ferber method next week. He's currently swaddled and sleeping in his swing. So, I think I'm reading this right - did you do the Ferber method with your daughter swaddled? We're planning on doing that, but I'm not sure if it's the right decision or if we should do everything at once. Yes we did do the Ferber method with her swaddled. But as soon as she learned to roll over, we took her out and continued the Ferber method. She started rolling over probably two weeks after we started sleep training :) little stinker! Took a few nights of adjusting but she took it like a champ. Yay! I'm seriously so glad to hear that! Did you also nap train at the same time? Hey again! Seriously this blog was so helpful! We are exactly where you are. Our little guy is sleeping in his crib (yay), but still inclined, mostly without the blankets. It's been a month! . We have to get rid of the swaddle now. He's a side sleeper and we've found him rolled over a few times. Any tips? Ho long did it take your daughter to adjust? I have found that Raegan sleeps better on her stomach. Your son is old enough now that it's ok for him to sleep that way if he wants to! I say let him if you are ok with it. Once he gets better at rolling both ways you won't be able to control it anways :) When we took her out of her swaddle and put the crib back on the ground it took her about 1 week to get used to sleeping without her swaddle. She preferred sleeping on her stomach and she was finally able to! She slept so much better! Thanks so much! What did he process look like? Did you use Ferber again? He sleeps 8-5am with the swaddle, we tried one arm out last night, mostly because he ended up on his belly while swaddled, he woke up every hour and at 2, we ended up swaddling him again. He woke up at 7:30 on his stomach again. He just freaks out when he wakes up on his stomach Unswaddled! I think we need a game plan, so I'd love to hear yours! Yep! We just stuck to the Ferber method. We also did not slowly transition her out. We went cold turkey. Why get her used to 1 arm in and out if we are going to take it away completely anyways? So we just took her out 1 night and never looked back! I've kind of taken the stance of letting her do her thing. As she figured out how to sit up and also stand from laying down we hit a big sleep regression. And starting the check ins again actually made her more upset! So we just let her cry and figure it out herself. And once she did, it all went back to how it was before! Some may say it's cruel to let her cry, but for my husband and I we feel that we are teaching her how to handle self soothing and dealing with new abilities that she learns (sitting up, standing up, etc). My one piece of advice is stay strong and be consistent! That will help him the most! I used the Ferber method with my now 7 year old when she was a baby and it worked like a charm. I wondered why I did not use it sooner. I plan to use it with our new baby as well when she is old enough. Thank you so much for this blog. Because of it I started sleep training my son at 3 months and it took us about a week and now before check ins he is right back to sleep. I have a question. My son is 5 months (almost 6). He eats every 3 to 4 hours during the days and most nights he eats every 3 to 4 hours (although sometimes he will stretch it to 6...whohoo!!). Anyway if he wakes up 3 hours after we put him down should I feed him or start the checks? everything I read say he should be sleeping through the night and not have to eat during the middle of the night. We did this with our daughter who is 4 now but we didn't discover it until she was 10 months old so I knew she could go all night w/o a feeding. Yeah you may be right to question how often he is feeding both during the day and at night. He is at the age now where you can start to introduce baby food if you have not done so already and that may help him sleep for longer intervals at night. I know I plan to give my 11 wk old rice cereal in her bottle soon to help her sleep through the night. She is currently sleeping at least 5 hours straight without needing to feed sometimes even more. I love this post. Super helpful1 We just started 2 nights ago transitioning my 3 month old out of the rock n play to the crib and also out of the swaddle at the same time. We did one arm out the first night and both arms out last night and last night half way through I put one arm back in because she kept pulling her arms in. It didn't seem to change much though, both nights she's been up every hour and a half. As soon as I pick her up she's back asleep in 30 seconds. Then I put her down and she starts crying. I thought she might not be ready to stop the swaddle but she's starting to roll onto her side so I feel like we're going to get rid of it soon anyways so I figured I'd do the crib/swaddle at the same time and just go through hell once :) She just turned 3 months so I feel like she might be too young to start sleep training. Thoughts? Should we just go cold turkey on the swaddle and do a sleep sack?